Almost every business owner wants to rank high on search engines, but why is that so important even when it may look completely unrealistic to attain that position? That’s because they understand the importance of ranking high. The number of people who click on your link increase tremendously when you have the top position on Google. In a research conducted by me , it has been seen that there is a direct relation between your search engine ranking and click through rate (the number of people who click on your link on SERP). The higher your position on search engines, the higher your click through rate. This research is a good reason to use to increase your investment in SEO because in the end, it will all pay off. However, this data wasn’t too accurate as it didn’t consider all industries or the impact of brand terms. In fact, brand terms alone can affect the data tremendously as they are known to take a high proportion of search engine results and give a higher click through rate on top positions. The study showed that brand terms have a higher click through rate and that most searchers have the tendency to click on the first three results. However, for non-brand terms, the chances of searchers moving on past the first three results increase. While there is some variation between the click through rates of different sectors, one thing remains same: the first three results in all sectors amass over 50% of the total clicks. Although Google has made a lot of changes to its search engine ranking algorithm, most people still click on natural listings. In fact, the study has shown that as much as 94% of clicks are on natural listings with a meagre 6% searchers clicking on paid listings. The study was published in 2012 but focuses on June 2011, so it doesn’t take the latest changes into account. It is based on 28 million people in the UK who made a total of 1.4 billion search queries in the month of June 2011, which have been analyzed to give this report. 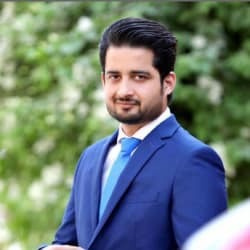 Great…When ever i look for seo and blogging tricks i always saerch aamir iqbal..and i get idea from greenhat and this site…Its great Thank You.. Can you given me some ideas about how to make backlink and guest blogging. ?